Biron is a small village at the southern edge of the Dordogne department, in the rolling countryside around Monpazier. 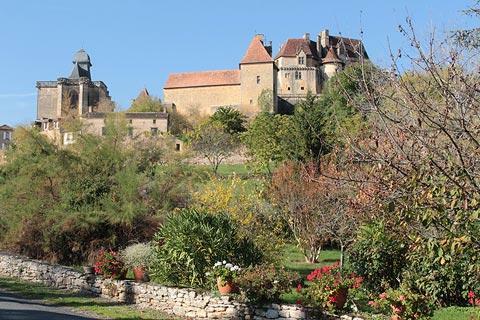 There are two distinct parts to Biron village: the upper village around the castle, and the lower village around the church. 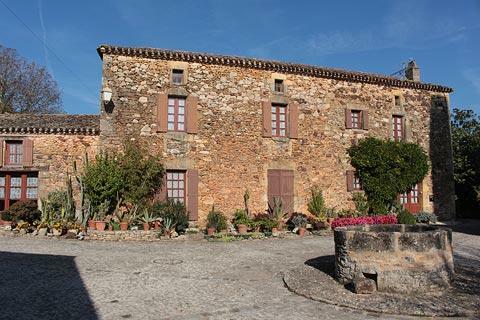 The two parts are approximately 200 metres apart, along a road with some pretty cottages and gardens. In recent years the village have rebuilt a large part of the defensive ramparts that once surrounded the village, so Biron is now entered through a reconstructed gateway. Personally I preferred Biron wihout this recent reconstruction but it does not detract from a visit. 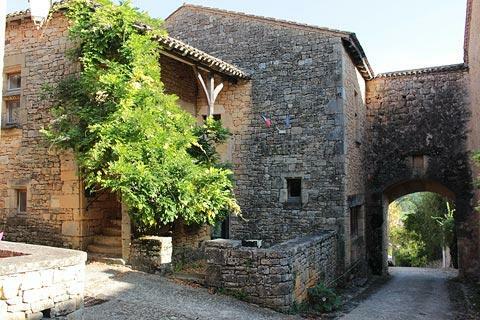 In this part of the village, as well as the entrance to the castle, there is a cafe and a few small streets with pretty stone houses, as well as another medieval stone gateway. 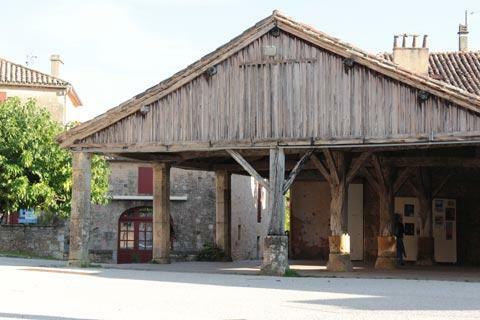 You can also see a traditional wooden market hall. 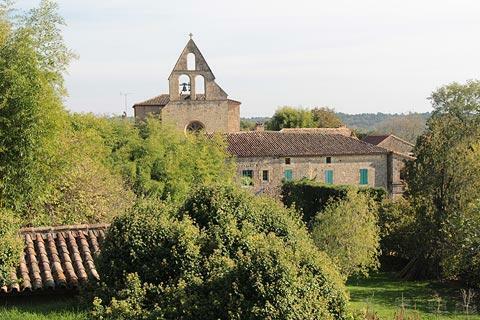 The lower part of Biron developed in the 12th century around a benedictine priory. 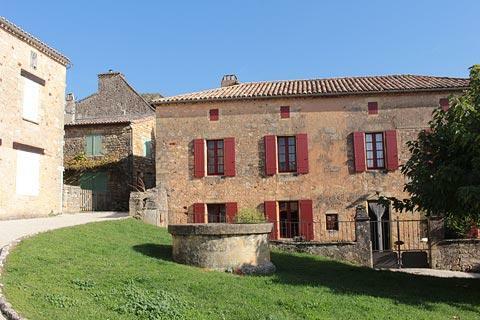 Despite its small size it is thought that this part of Biron would have been an independent settlement, with its own fortifications and self-sufficient because of its well. 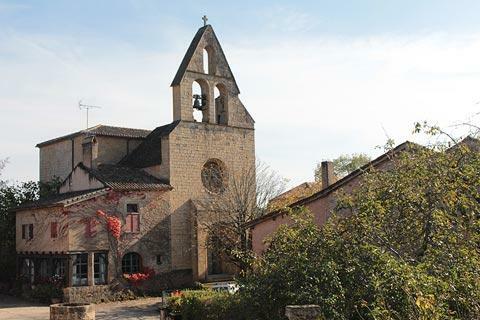 There is a small public square with the well in the middle, an ancient church to one side, and ancient stone and colombage houses on the other sides. 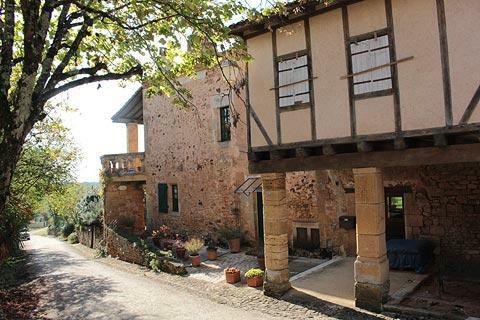 After exploring the two centres of the village you can walk a few hundred metres along the road beyond the lower part of Biron. From here you have the best view across the entire village and castle. You have another impressive view of the castle if you walk 200 metres down the small road opposite the gateway into the upper village (passed the main car park). 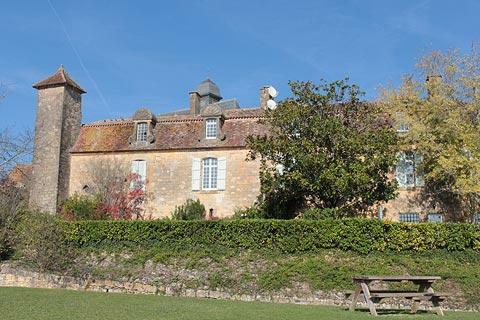 Of course, most visitors will also want to visit the Chateau de Biron at the same time as seeing the village: the views from the castle and the wide range of architectural styles make it a very interesting destination. To the south of Biron (follow the route towards Lacapelle-Biron) you will enjoy a visit to the Chateau de Gavaudun, an impressive ancient fortress in a pretty village, and a stroll around Saint-Avit, a small village with a museum dedicated to Bernard Palissy, a renowned local potter born here in the 16th century. 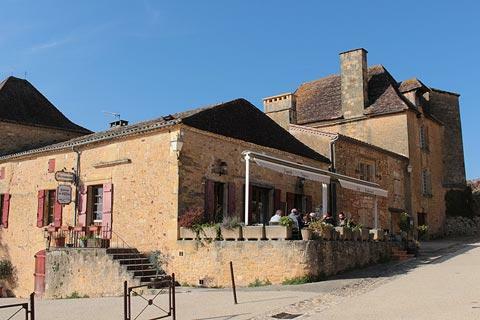 You will also certainly want to visit Monpazier while you are here - it is one of the most lovely medieval villages in France and just a few kilometres from Biron.